My internal hard drive recently started to make clicking noises, which is often the first sign that it a hard drive is near death. I quickly went out to buy a new internal hard drive, as well as an external USB hard drive enclosure in order to connect the hard drive to the still working computer and transfer all data as soon as possible. Once that was complete, I would just swap in the new hard drive. For those who are interested, the program I used to successfully copy all my data to the new hard drive is called DriveImage XML. DriveImage XML is free for personal use and enables you to “image” a hard drive even while it is in use running an operating system. 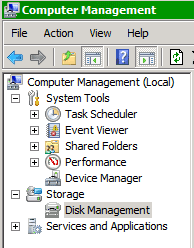 Double-clicking on that icon showed the enclosure device, and it even correctly identified the hard drive itself. But it wasn’t showing up as a drive with a drive letter in Windows Explorer — and as such, no program would be able to recognize it as a drive either. The Volumes tab on the Properties menu for the drive showed its status as “not initialized”. Once there, you should see your unformatted and unpartitioned drive in the bottom panel. Right-clicking on the unformatted space should bring up a menu where you can create a formatted partition, assign a drive letter to it, and mark it as active to make it bootable. 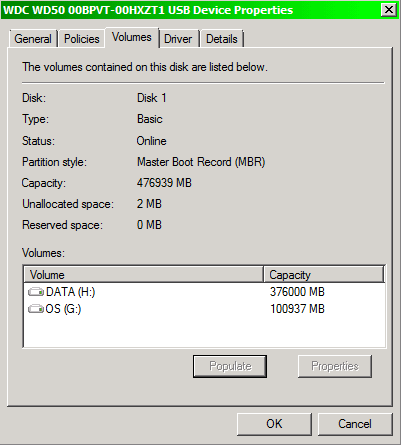 If you are going to have a few partitions on a drive, be sure to only mark one as active / bootable. Great tutorial Peter. It solved the exact problem I was having. Thank you.